When you’re traveling to and from an important business meeting, an evening out, a night with friends or an airport; a clean, comfortable, and stylish luxury car service not only gives you a more professional, respectable look and feel, but also takes a lot of the worry out of your transportation needs, allowing you to relax and focus on other priorities. 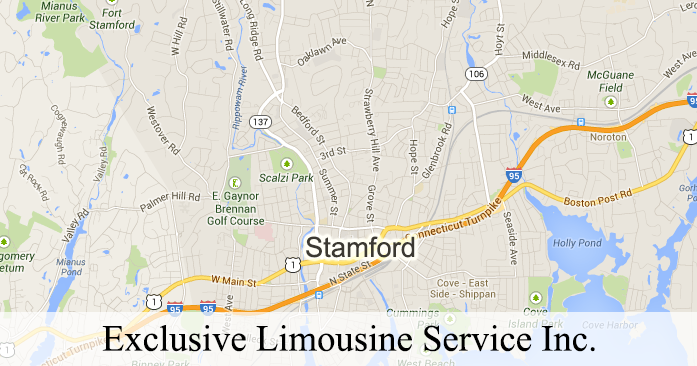 With well over two decades of experience in a range of luxury car and limousine chauffeur services, Exclusive Limousine Service Inc. stands out as one of Fairfield’s very best car services. At Exclusive Limousine Service Inc. we combine a range of luxury automobiles with a handpicked team of professional chauffeurs who have been selected for their high level of courtesy, dependability, and for their driving experience, which extends to a detailed and constantly updated knowledge of the best routes through the greater Fairfield area. Striving to maintain the optimal balance between a sharp, stylish look and a regimented, friendly, and courteous service that can get you to where you need to go quickly, safely, and reliably; Exclusive Limousine Service Inc. has become Fairfield’s standout car service. Whether you’re looking for a ride to or from the airport – in which case we proudly serve all major airports in the area – or you’re shopping for the kind of private luxury car service that’ll give you that sharp, professional look you want for important business meetings and events; Exclusive Limousine Service Inc. is dedicated to bringing our Fairfield clientele the very best luxury car chauffeuring options available in the greater Fairfield area.